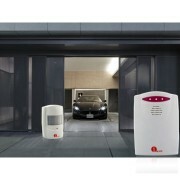 This Battery Powered 1Byone Wireless Driveway Alarm System uses a new smaller infrared PIR Sensor that detects people and cars up to 20 meters away and then transmits a wireless signal back to the receiver up to 100 meters away, often used to protect farms, Shed, driveways, gardens, perimeters etc. The fully Weatherproof PIR ( In line with IP44 waterproof standard) has a 20 meter long single sided infrared beam which is very simple to install and due to the narrow designed beam will avoid picking up small animals passing by on the ground. It is a fact that 95% of home burglaries happen to houses that do not have an intruder alarm, a percentage of the remaing 5% make it easy for the intruder by forgetting to close a back door or window etc, this is the same for sheds, garages & outbuildings. 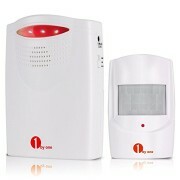 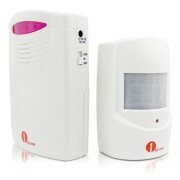 With our 1byone Alert alarm, no need to worry about the problem!! 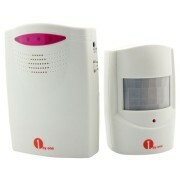 We have such a lot of different types of alarms, You’ll be able to feel free to match. 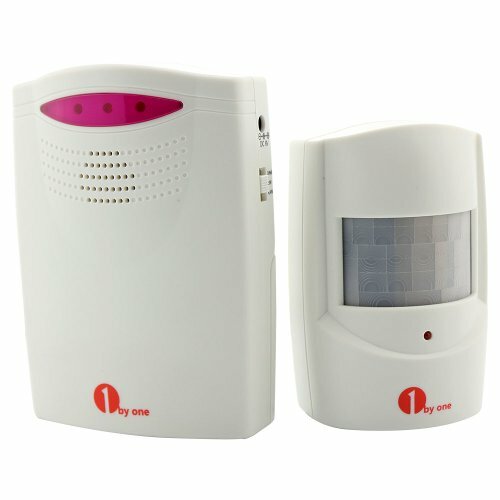 Since Feb 1, 2015, we have started to sale Upgrade Version of 1byone Driveway Alarm with Blue LED Indicator. Easy Installation with Upgrade Auto-learning Code, it is much easier for you to install and match with more receivers or transmitters. This Battery Powered 1Byone Wireless Driveway Alarm System uses a new smaller infrared PIR Sensor that detects people and cars up to 20 meters away and then transmits a wireless signal back to the receiver up to 100 meters away, continuously used to give protection to farms, Shed, driveways, gardens, perimeters etc. 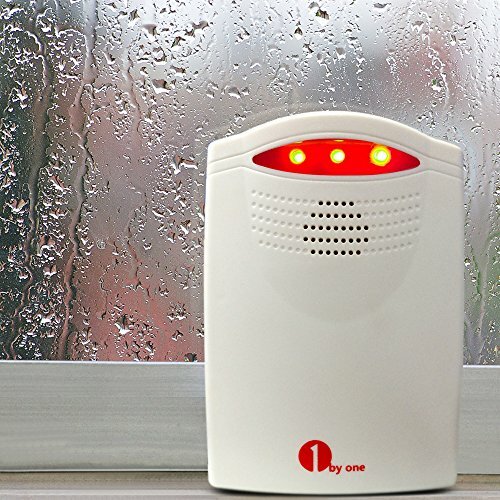 The fully Weatherproof PIR ( In line with IP44 waterproof standard) has a 20 meter long single sided infrared beam which is very simple to install and because of the narrow designed beam will avoid picking up small animals passing by on the ground. 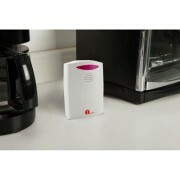 Once detected this will send a signal to the receiver (which can be placed upto 100 metres from the transmitter) and an audible alarm will be sounded to alert you to somebody approaching. You’ll be able to set the volume of the alarm, the loudest being 90 decibels – which is loud! 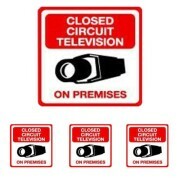 There is also a flashing Red light that alerts you as the alarm is sounding. 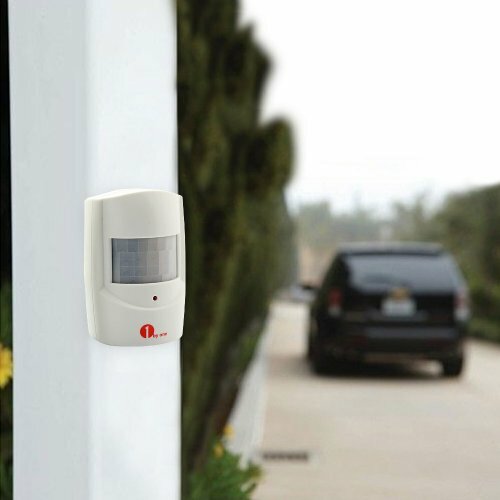 Buyer guarantee – We stand behind our driveway alarm 100% with one year warranty. 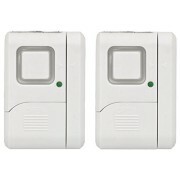 We have a selection of battery powered alarms, if you wish to buy a reliable one, please look through more choices detail on below descirption part. 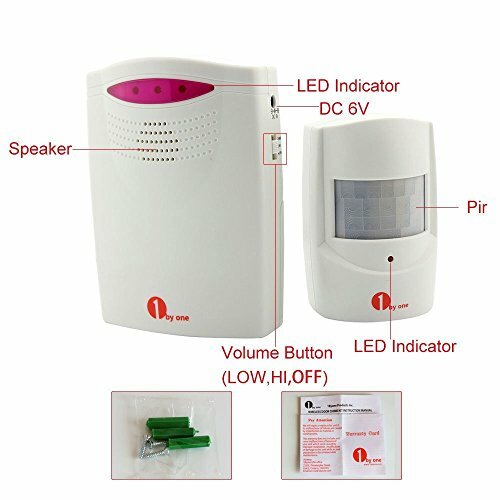 Also, If you do not need to use the 3×1.5V type C batteries for receiver, just purchase our AC power adapter OUS00-0278 to the receiver.